In a large pan, heat about 1/4 inch oil. In a large bowl, toss all of the igredients together to combine. Form into flat patties. Fry in hot oil, flipping half way through, until just golden. Drain on paper towel lined plates. I love latkes. What is there not to love about a crispy, fried potato? Making them the exact same way year after year can be a bit boring however. 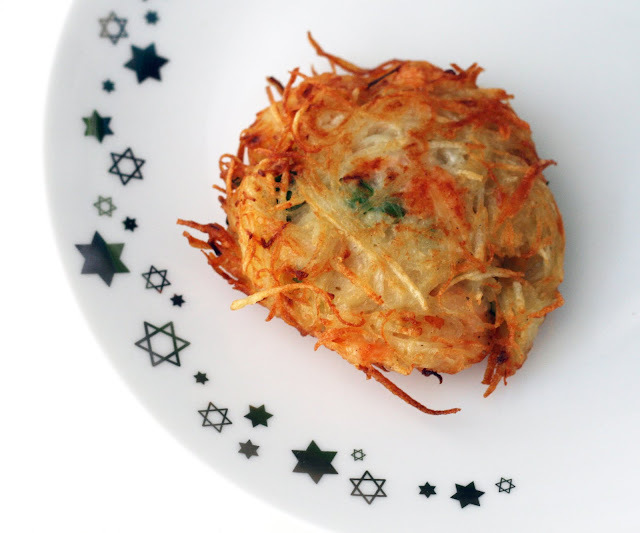 This year I decided to add one of my absolute favorite foods, smoked salmon, to my latkes. I wasn't quite sure how it would turn out but after a test latke was a rousing success, I made a whole batch. 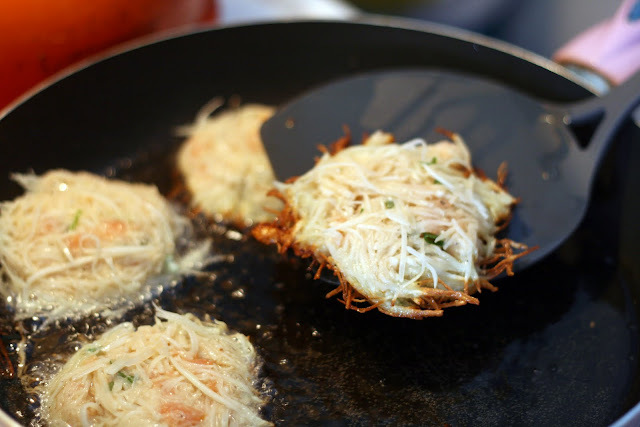 Crispy potato + freshness from the green onion + smoky flavor from the salmon = best latkes ever. 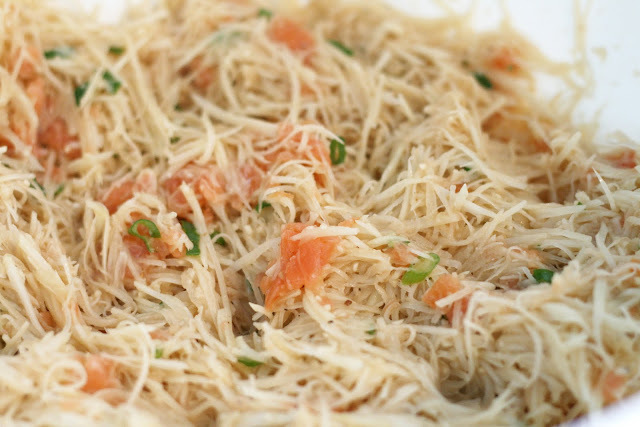 They are exceptionally good when eaten with sour cream, which really brings out the flavor of the smoked salmon. For this year's latkes I once again used my mandoline which made great, long, thin strips that cooked quickly and gave off very little liquid. That said, you don't need a mandoline to make great latkes, a box grater works fine. I don't recommend (as some do) using a food processor to grate the potatoes, it breaks down the starches and gives the latkes a gluey consistency.